As we like to say here, you’re either a Huracan or a Huracan’t. This is definitely a Lamborghini Huracan, because, well, just look at it. 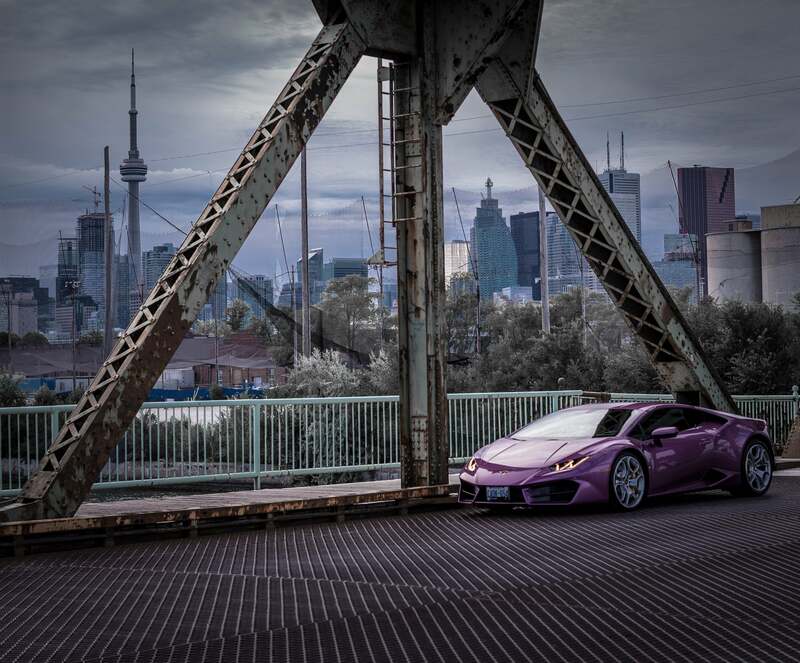 Who doesn’t love a purple supercar with a V-10 engine in it? 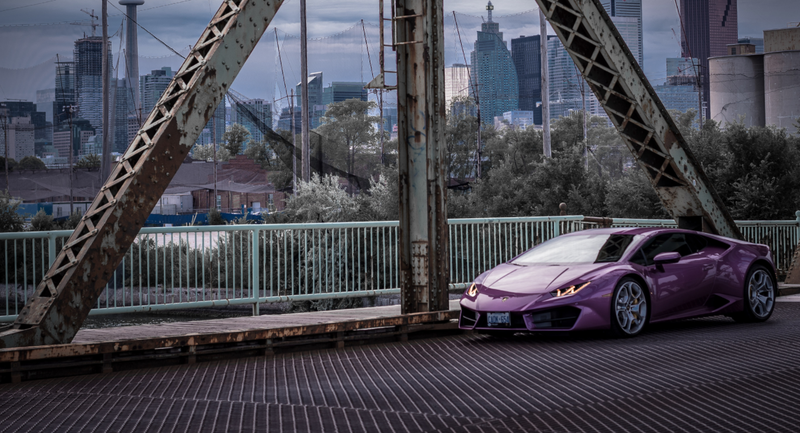 This weekend’s wallpaper comes from Aneta Iwaniszczuk, and it features a Lamborghini Huracan LP580-2 on the streets of Toronto. The car is the rear-wheel drive version of the Huracan, with a stiffer rear suspension and more aero. But you probably know the details already, so just watch the thing drift. 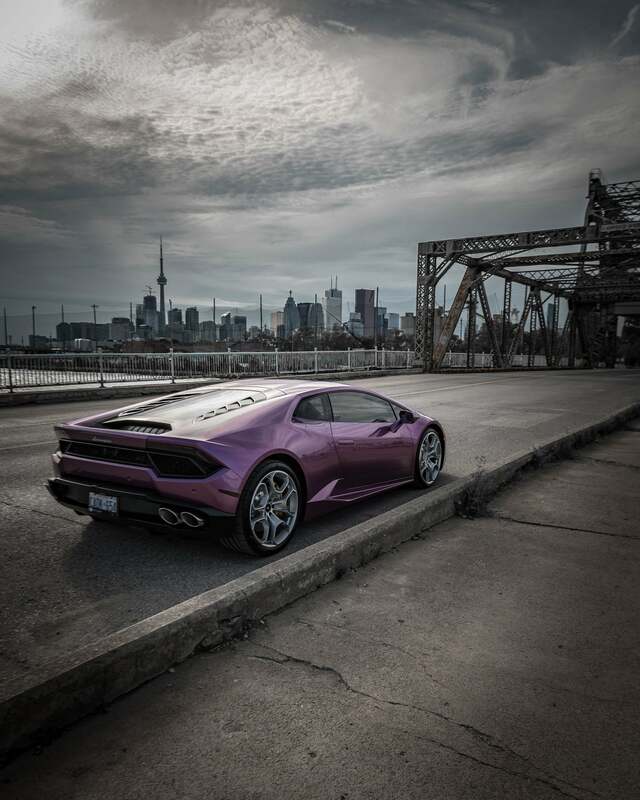 I picked this location to contrast the luxury of the car and the industrial settings of the shoot, showing the actual city by having Toronto skyline in the background. Enjoy the rest of your weekend, everyone. If you have any photos you’d like to see featured as a weekend wallpaper, go ahead and send an email to the address below. Photo credit: Aneta Iwaniszczuk. Used with permission. For more of Aneta’s photos, head on over to Instagram. For a big desktop version of the top photo, click here. For the second photo, click here.